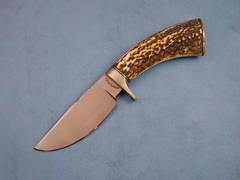 A nice small Hunter by Dennis Riley. It has nice Stag and fits great on the hand. 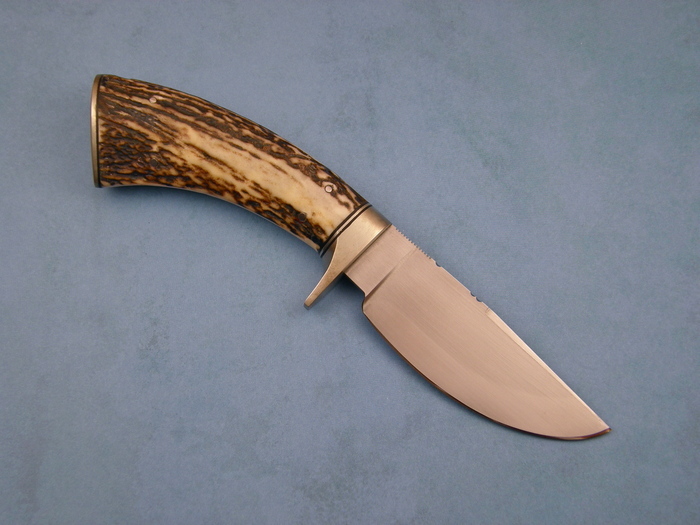 Dennis is a Journeyman in the American Bladesmith Society.